Please do not call if you do not want to hear the truth! Jerry Robert; has personally advised, coached or counseled over sixty world-renowned Television,Radio, Broadway and Movie Personalities. Jerry has been a past guest on over fifty world-wide radio and Television programs. He was a co-host and host of a regular talk show with an audience of nearly three and one half million listeners in the Midwest. He was the subject of several newspaper articles. Jerry Robert; Cassell has a B.S., M.A., C.F.Ht., D.D., PhD., Degrees and Certification. 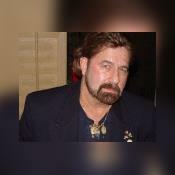 Jerry is the owner/Director of Perfect Channel Services for over twenty-two years as a Behavioral Profiler, Federally Certified Forensic Hypnotherapist, Writer, Educator, and Metaphysical Psychic Investigator. You will be helped by Jerry... Spiritually through prayer, along with �Guardian Angel�s.� Jerry can help you with different ideas and techniques that could stimulate your partners Needs, Wants, Desires, to make better Potential Choices...that promotes a stronger Love, and more Joy within your Present or Future Relationship. He may suggest how to deal with the different challenges blocking your pathway...that promotes a harmonious loving partnership. Jerry will, help you to understand your friends, loved ones, or family members, feelings emotions or thoughts of their situations, conditions and /or challenges from their point of view. This will help you for better self control while walking your �Pathway of Life.� You will understand your options with love relationships, business, improved mental/physical health and sexual life. Please understand that "NO ONE" other than God, is one hundred percent accurate...however, Jerry Cassell has proven to be highly consistent in his Counseling Practice. He will want you to realize that "NO" Psychologist, Behavioral Therapist, Metaphysical Counselor, Spiritualist Reader or Psychic Advisor can "ALWAYS" connect with every person totally every time. He may not...at all times... be able to answer every question asked...because there are periods in our lives... when the "HOLY SPIRIT of the WHITE LIGHT" does not always want us to know the answer...until the right time. Jerry can only reflect and speak the truth as received or presented at the moment of the counseling session. The truth may not always be what you want to hear, however...Jerry Cassell's integrity does not allow him to give false hope and easy answers. Any undesirable outcome... "CAN CHANGE" through the "POWER of PRAYER" and "POSITIVE BELIEF"... "focusing on the desired outcome...than just...Let Go and Let God." It is much better in the end to hear the truth...than to waste your time...hanging on to something that is fruitless...or can no longer be productive in a person's life. Please take a moment and leave your written Feedback...with a Rating after each conversation...so that other potential clients can see how Jerry Cassell...as your chosen Advisor...helped. Thank You! My Gift from God...son...Jayme Luke Cassell�Born: 31st July 1991�Reborn back into Heaven on the 26th February 1994. I shall always see your beautiful heavenly blue eyes smiling, your loving strong hugs, hear your voice every day and feel your Spirit and Soul close to my side...when you are not playing in Heaven with your Angel Friends...I thank God for entrusting me with your Body, Mind, Soul and Spirit for the short Two and A-half years upon the earth�..
Never again to experience the tragedy from most Cancer Doctors who have lost their one time sight��. Jerry Cassell has been a user of Keen since 2002. Getting Dream Interpretation advice from Jerry Cassell through www.keen.com is safe, secure and confidential.